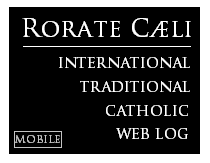 RORATE CÆLI: Burke confirms: Yes, Pope has demoted me. "Pope has done a lot of harm by not saying openly what his position is" Synod "designed to change Church's teaching"
Burke confirms: Yes, Pope has demoted me. "Pope has done a lot of harm by not saying openly what his position is"
Synod "designed to change Church's teaching"
A top cardinal told BuzzFeed News on Friday that the worldwide meeting of church leaders coming to a close in Rome seemed to have been designed to “weaken the church’s teaching and practice” with the apparent blessing of Pope Francis. 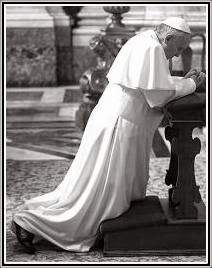 While Francis has shown no sign he supports overhauling the church’s teachings that homosexuality is sinful, he seems to have taken from this experience a desire to downplay conflicts over sexuality in order to broaden the church’s message. But, Burke said, the Church must always call a “person who’s involved in sinful acts […] to conversion in a loving way, but obviously, like a father or mother in a family, in a firm way for the person’s own good.” There cannot be “a difference between doctrine and practice” on questions like homosexuality or anything else, Burke said. BuzzFeed News: I should ask you about the reports that you're being removed from the Signatura. What message is that sending? Do you think you are being removed in part because of how outspoken you have been on these issues? Cardinal Burke: The difficulty — I know about all the reports, obviously. I've not received an official transfer yet. Obviously, these matters depend on official acts. I mean, I can be told that I'm going to be transferred to a new position but until I have a letter of transfer in my hand it's difficult for me to speak about it. I'm not free to comment on why I think this may be going to happen. BFN: You're obviously a very well-respected person. That must be disappointing. CB: Well, I have to say, the area in which I work is an area for which I'm prepared and I've tried to give very good service. I very much have enjoyed and have been happy to give this service, so it is a disappointment to leave it. CB: It's called the patron of the Sovereign Military Order of Malta, that's right.